Joshua Fields Millburn & Ryan Nicodemus help over 20 million people live meaningful lives with less through their website, books, podcast, and documentary. 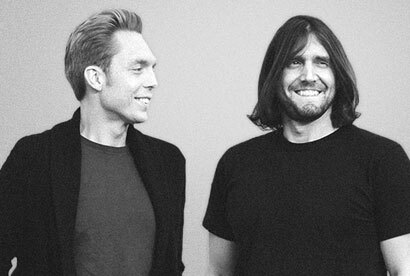 The Minimalists have been featured in the New York Times, Wall Street Journal, Boston Globe, Forbes, TIME, ABC, CBS, NBC, FOX, BBC, and NPR. Change isn’t easy. More often than not, we don’t change because we get in our own way. Other times we don’t make a change because we’re afraid of what people will think about us, afraid of what they will say about us, afraid they will treat us differently. Ultimately, we are afraid of rejection. When we approached minimalism, we realized many of our closest friends and family members were supportive of the changes we wanted to make; and in other cases, many of them were neutral bystanders, ambivalent to the simplification going on around us. In some instances, some of the people closest to us didn’t approve of our new paths: some of these people mistook the journey on which we were embarking as a direct attack on their way of life, as if by questioning our lives we were also questioning their lives. Clearly this was not our intent: our journey involved questioning our lives, not theirs. We were simply looking for happiness, using minimalism as a tool to search for deeper meaning. Yet some people thought the changes we were making were silly, stupid, and even crazy (literally). We had worked hard for more than a decade to accumulate all these nice material possessions, big houses, fancy cars, “important” job titles, and the American Dream, all of which was supposed to make us happy, right? When the consumerist, over-indulgent lives we were leading didn’t make us happy, there had to be something wrong with us. At least that’s what the naysayers said: Maybe Joshua & Ryan went crazy. Maybe they are experiencing a mid-midlife crisis. Maybe they joined a cult (someone actually accused us of joining a cult, likening minimalism to Jonestown and Branch Davidian). Circumstances change. If our 28-year-old selves could have time-traveled back to 1999 to tell our eighteen-year-old selves about everything we were going to “accomplish” over the next decade, the teenage Joshua & Ryan would have been elated. You mean I’m going to have this, that, and this? You mean I’ll be able to afford this? The happiness would have soon faded, though, and by 28 (or perhaps much sooner) an overwhelming cloak of discontent would have enveloped our lives. That’s because circumstances change, and thus, we must change: we must continue to evolve and grow if we expect to be happy. What adds value to your life today, may not add value to your life tomorrow. You, too, can change. Minimalism may not be the answer for you. If you’re not happy, though, you, too, can build your change muscle and, over time, change your circumstances. There are many paths to happiness; minimalism simply allowed us to clear the clutter from our paths so we could find that happiness sooner. Show people the benefits. 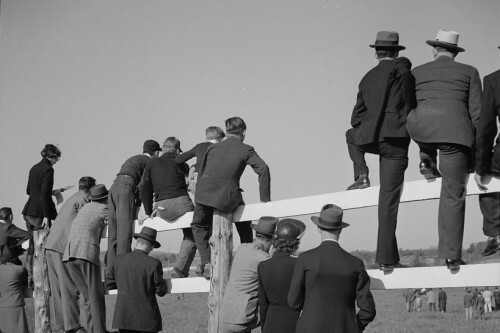 As we journeyed further down our paths, many of the naysayers jumped on board. Not because we asked them to—we’ve never asked anyone to embrace minimalism—but because they saw the happiness we’d welcomed into our lives. They saw that for the first time in our adult lives we were truly excited, joyous, and content with who we were. They saw that perhaps we didn’t have it figured out before, and maybe we didn’t have it figured out now, but we certainly appeared to be on the right track. The actions alone didn’t convince them, but once they saw the benefits, they better understood the changes we’d undergone. There were, however, some relationships we had to get rid of: it wasn’t easy, but certain people—friends and family—weren’t adding value to our lives, they were sources of negativity, and they prevented us from growing. We treated this option as a last resort, but it’s important to know that, as we grow, even our relationships can change. Today, many of our old friends are still our friends—while others are not—but we’ve also established new, empowering relationships that encourage our constant growth and help us enjoy what we contribute to the relationship. Read this essay and 150 others in our new book, Essential.